Trade Shows certainly divide opinion. Some see them as an excellent marketing tool, while the cynics see them as a waste of time and money. Whatever your views, January is certainly ‘the’ time for Trade Show junkies in the world of interiors. It is a veritable feast! 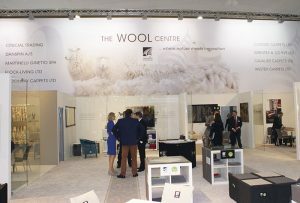 Heimtextil kicks things off in Frankfurt and one can then pop over to Hanover for Domotex. One has a chance to catch one’s breath before Top Drawer starts in London and then it is time to clock up some more air miles with the short hop to Paris and Maison & Objet. To round the month off, there is the January Furniture Show. So, for trade show devotees, it is certainly not a ‘dry’ January. And what better way to see in February than jetting off to Las Vegas for Surfaces!! Joking aside, it it really a good use of time and money?